The AGM-88 HARM (High-speed Antiradiation Missile) is a supersonic air-to-surface tactical missile designed to seek and destroy enemy radar-equipped air defense systems. The AGM-88 can detect, attack and destroy a target with minimum aircrew input. The proportional guidance system that homes in on enemy radar emissions has a fixed antenna and seeker head in the missile’s nose. A smokeless, solid propellant, dual rocket motor propels the missile. 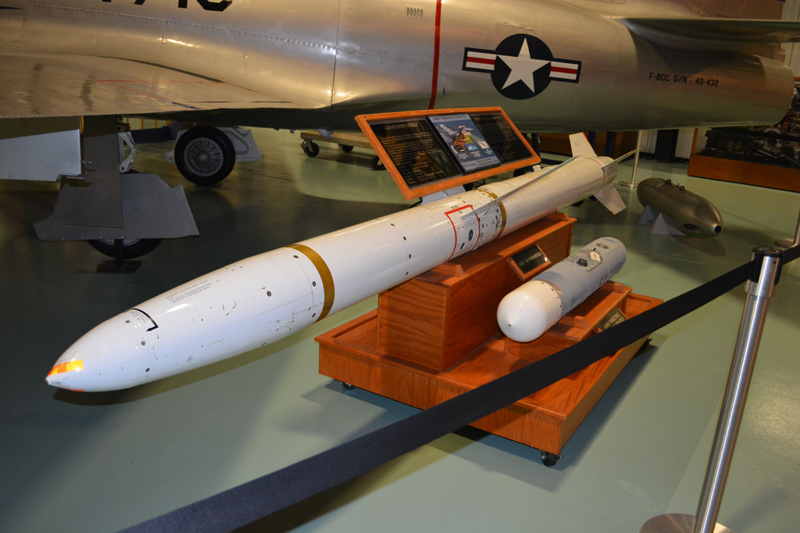 The AGM-88 was approved for full production by the Defense Systems Acquisition Review Council in 1983. This missile has been upgrades several times to keep pace with improvements.